"/usr/texbin/pdflatex does not exist. TeXShop is a front end for TeX, but you also need a TeX distribution. Perhaps such a distribution was not installed or was removed during a system upgrade. If so, go to http://www.tug.org/mactex/ and follow the instructions to (re)install MacTeX. A less likely possibility is that a tool path is incorrectly configured in TeXShop preferences. This can happen if you are using the macports or fink distributions." I tried to change the path in Preferences-Engine, as many suggested. Yet, it doesn't work either. Any help? I just solved it. You just need to change the path of the files for the command according to the new organization in El Captain. I posted a screenshot. It works for me! Not the answer you're looking for? Browse other questions tagged errors mactex texshop mac or ask your own question. 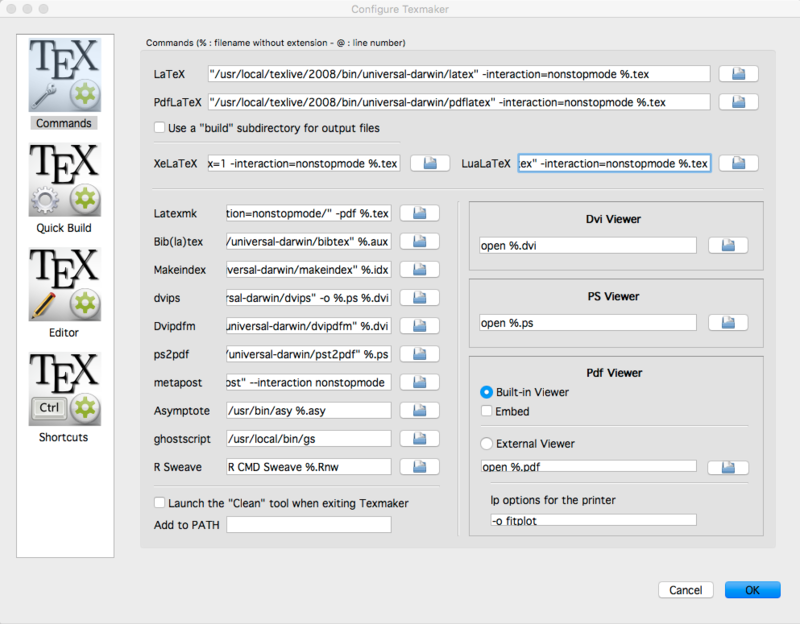 I can't use PDFlatex using apple mac!